I just found a great citybreak deal on Booking.com for you guys! For just 81 DKK you can spend 2 days in beautiful Hamburg at the instant Sleep Backpacker Hostel. This hostel is located at the popular and trendy Schanzenviertel area of Hamburg. Your hostel offers free WiFi and also free unlimited coffee and tea – how cool is that!? There is a shared kitchen available, if you wish to prepare any meals. You will also find a lounge with foosball. The hostel also offers a bar and a terrace where you can relax. The Reeperbahn is only a 15-minute walk away from your hostel. On Tripadvisor the hostel has received a 3.5 out of 5 total score from 76 individual reviews. If you like it more comfortable, we found a 4* alternative hotel for you guys! If you spend a night at the 4* NH Hamburg Horner Rennbahn, you’ll pay only 183 DKK. 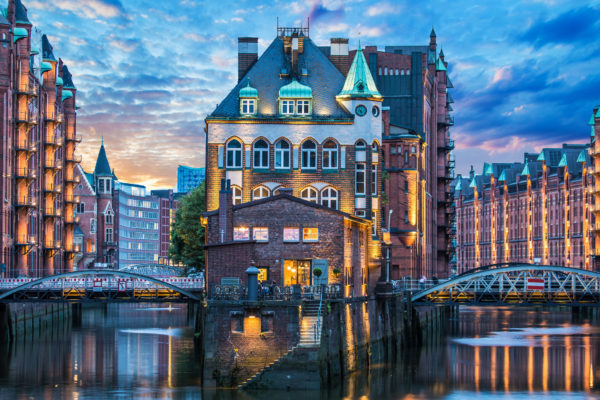 In Hamburg there are many things for you to visit and see. The famous Reeperbahn is located in St.Pauli and you can buy authentic german fish at the fish market near the industrial harbor, where you can also go on a canal cruise. Let’s go to the Hamburg deal! Sign up for our Newsletter, and don’t miss anymore deals. You’ll be the first to find out about our Hamburg bargains!